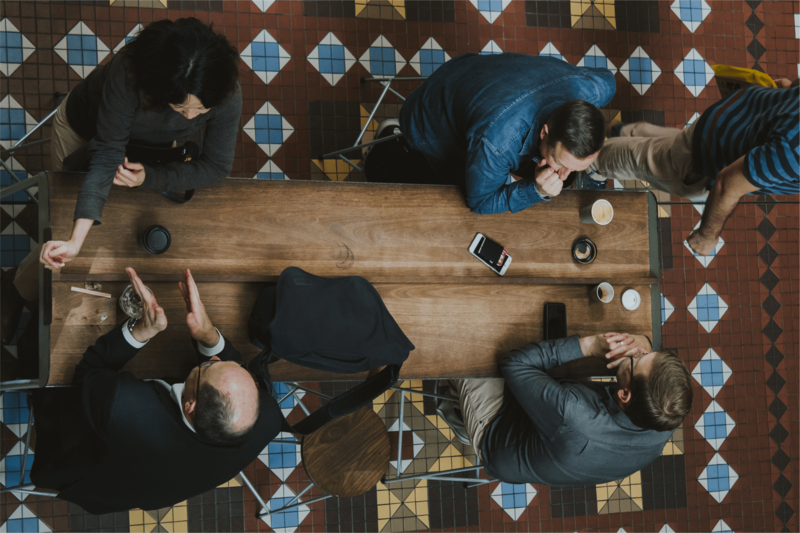 HAVE YOU EVER WONDERED HOW DID THE TABLE GROUP CONCEPT CAME UP? A restaurant marked by his distinction and uniqueness, from history and traditional cuisine, in the heart of Lisbon. Restaurant and Tapas Bar, located in Carmo Square, with a front view above the Santa Justa elevator, with a warm and intimate atmosphere. The restaurant is located in the Carmo Square, with an overlooking terrace above the ruins of the Carmo Convent. The restaurant is located in The Boutique Figueira Hotel, on the Praça da Figueira square, has a elegante and sophisticated decor. Cozy atmosphere of a modern tavern, an ideal space for lunches and dinners, on a decor based on tiles from the XIX century. Part of an audacious project signed by Nini Andrade da Silva, inaugurated in October 2017, where the environment recreates the illusion of a bath. 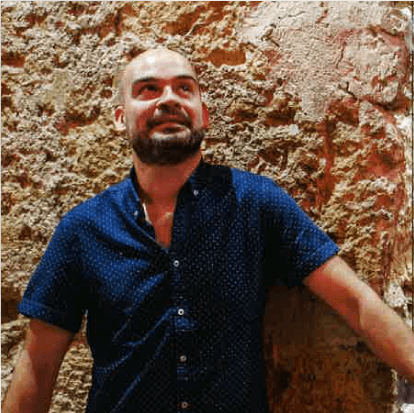 Under supervision of Chef Hugo Landeiro is born the restaurant Lisboa é Linda, located on the Travessa de São Paulo, next to the Ribeira market. 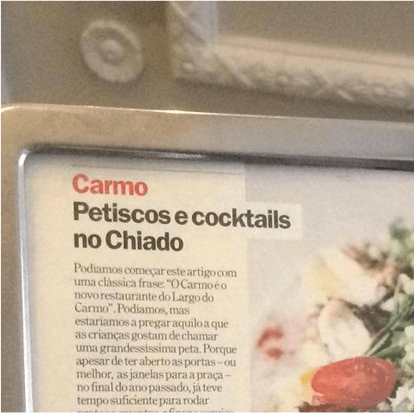 "We could start this article by using a classic sentence: “Carmos is the new restaurant of the Largo do Carmo”..."
We could start this article by using a classic sentence: “Carmos is the new restaurant of the Largo do Carmo”. We could, but we would be telling what kids like to call, a big fat lie. Because, despite having opened its doors for business – or better, its windows facing the square – at the end of last year, it has already had enough time to go through its dishes and menus from top to bottom, to fine-tune the service, and, the reason why we are here, to open a bar serving excellent cocktails, perfect to face those Summer days. In addition to all these dishes, you can enjoy the bar service, which is aligned with the latest fashion trends (i.e. : with cocktails), where you can find two Tiagos working (Tiago Frade, Portuguese, and Tiago Moulin, Brazilian), with a background in Hotel Management, and who likes to venture into original mixtures, such as caipirinha with beer or ginger, the cherry explosion, based on cherry and rum, or even the already famous frozen, in which a different fruit is used every day. “We can use kiwi, strawberry, mango, anything,” they say. All of them have wallet-friendly prices, between 5€ and 9€, and can be enjoyed in one of the interior rooms or in the small, but friendly, terrace overlooking the square. 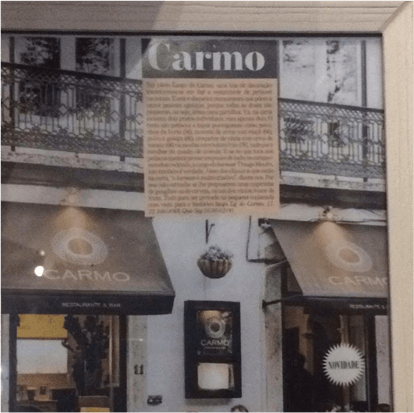 "In the very center of Largo do Carmo, a decoration store became a bar and restaurant which serves national snacks..."
In the very center of Largo do Carmo, a decoration store became a bar and restaurant which serves national snacks. And this is one of those restaurants that put selfish people to the test, because all doses are small, in other words, made to share. Ok, there are 2 individual dishes in the menu, but only two. The remaining are snacks and Portuguese tapas, such as peixinhos da horta (breaded green beans) and morcela de arroz com maçã (rice black pudding with apple), polvo à galega (galician octopus), croquetes de vitela com arroz de tomate (veal croquettes with tomato rice) or moelas com batata frita (gizzards with fries), everything is displayed in the slate blackboard for you to choose. "More than one hundred people can sit here enjoying their meal..."
More than one hundred people can sit here enjoying their meal. In the main room, no groups are allowed. For such purpose, focused more on socialization, there is the Fernandina room. Having lunch or dinner in this space, is a pleasure with a price range of around 30 euros. The Sacramento do Chiado, in addition to the restaurant, also has a cafeteria and bar. As for the space itself, including all facilities, it is open between 11:30 and 02:00. [...] More doors have been opened: the result is a network which has already seven restaurants, to the present day. And the eighth is already on the way. "To tell the story of the Sacramento do Chiado, it is necessary to remember that this space was once a stable of the Palace of the Counts of Valadares..."
To tell the story of the Sacramento do Chiado, it is necessary to remember that this space was once a stable of the Palace of the Counts of Valadares, a school and, more recently, the Confeitaria Nacional. 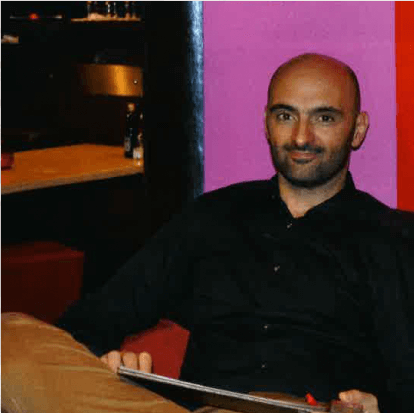 [...] the restaurant, which was born in 2004, hides five rooms on the inside. In the words of Fernando Santos, “It is only by knowing the place that you can get the full picture. Usually, upon entering, people are dazzled”. Mouths are opened with astonishment because of the space, but also because of the menu which is harmoniously aligned with the seasons of the year.